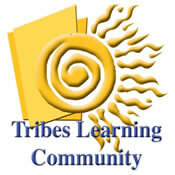 In addition to skill-building components, a number of SEL programs, such as Tribes Learning Communities, also feature elements “designed to create supportive climates in the classroom and throughout the school – for example, by nurturing the relationships between students and teachers and others important to the child. Such emotionally safe environments and relationships are known to increase students’ attachment to school, another major factor in academic success. The CASEL website offers a wealth of information, articles, and publications that support the well-researched connection between social emotional learning and academic achievement.